Michael works as a Consultant Upper Gastrointestinal & Bariatric Surgeon at the Duchy Hospital Truro and the Royal Cornwall Hospital. He specializes in all areas of benign upper gastrointestinal surgery, including gallstone disease, gastro-oesophageal reflux disease, abdominal wall & groin hernia and bariatric & metabolic surgery. His surgical outcomes are published nationally online. He introduced the oesophageal physiology studies service to Cornwall in 2014, enabling detailed high-tech analysis of oesophageal (gullet) function as well as 24-hour acid reflux measurements, essential in managing patients with acid reflux or oesophageal disorders. Michael went to school in South West London and subsequently qualified in 1999 from the University of Nottingham Medical School. Having worked as an anatomy demonstrator at the University of Bristol, he completed his basic surgical training in South West England in 2004.He spent two years in academic research (Doctorate of Medicine – MD) at the University of Bristol, studying and developing life expectancy prediction models for surgical decision-making. This resulted in the award of the John Farndon prize for surgical research in 2005. He completed his specialist training in general surgery in South West England, including subspecialist training in complex upper gastrointestinal & laparoscopic (keyhole) surgery at the world renowned Bristol Royal Infirmary. 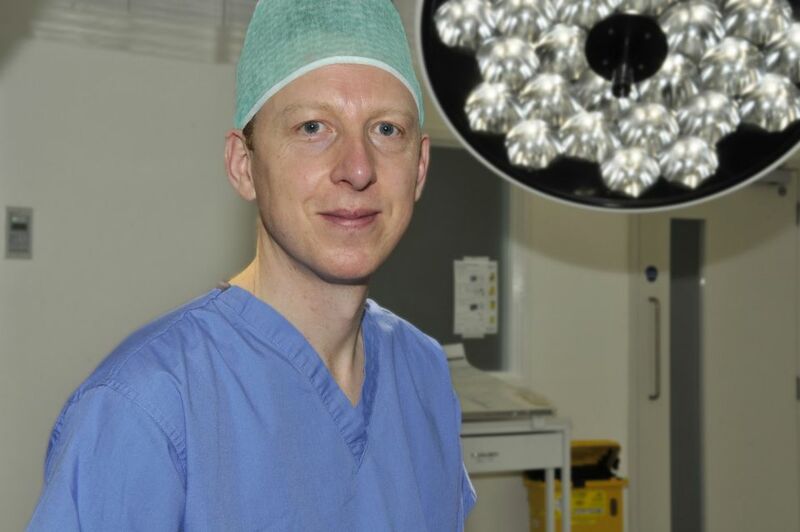 He was trained in abdominal wall hernia surgery by Professor Kingsnorth, including joining the Operation Hernia team in 2009 to undertake a mission to Ghana performing and teaching groin hernia surgery, for which he was awarded an overseas fellowship by the Association of Surgeons of Great Britain and Ireland. In 2011 he completed 12 months advanced specialist fellowship training in upper gastrointestinal and bariatric (weight loss) & metabolic surgery at the North Shore Hospital in Auckland, New Zealand. Before returning to South West England, he worked for 12 months as a locum Consultant Oesophagogastric Cancer & Bariatric Surgeon at the Queen Alexandra Hospital, Portsmouth, before taking up his current substantive Consultant post in Cornwall in 2013. He has an interest in surgical research, having published more than 20 articles in peer-reviewed journals and presented at numerous national and international meetings. (Pubmed ref Clarke MG). He continues to be involved as an investigator in national & international surgical clinical trials. He has also delivered invited presentations at local and national meetings as well as appearing twice on live BBC Radio Cornwall programmes. He is passionate about teaching and training, having completed a postgraduate degree in medical education (PGCME) at the University of Bristol in 2007. He lectures at the University of Exeter Medical School, organizes both local and regional surgical training events, sits on training assessment panels in the SW region and is the lead for surgical simulation at the Trust. He is currently the Royal College of Surgeons ‘surgical tutor’ at the Royal Cornwall Hospital, responsible for overseeing all surgical training and was recently awarded the ‘Outstanding Educational Supervisor Award’ by the Royal Cornwall Hospitals Trust in 2017. Michael is a fellow of the Royal College of Surgeons of England and a member of the Association of Upper Gastrointestinal Surgeons (AUGIS), British Obesity and Metabolic Surgery Society (BOMSS), British Hernia Society (BHS) and the International Federation of Surgery for Obesity (IFSO). Michael is married to a local GP and has three young children. He is a trained pianist & saxophonist to grade 8 level, as well as a church organist. He enjoys dinghy & yacht sailing, surfing, golf and hiking.